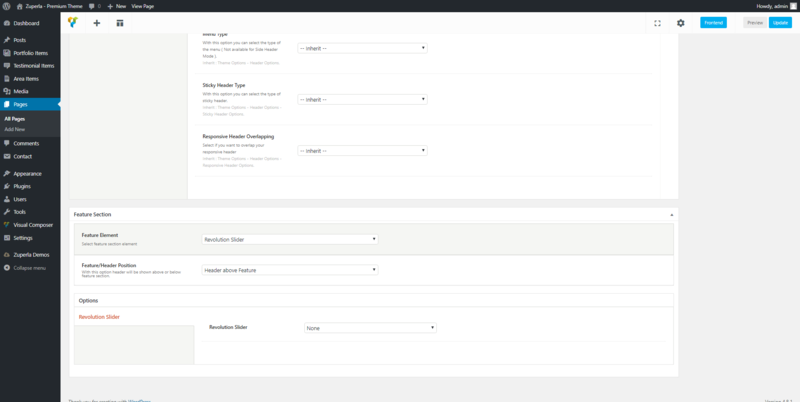 Here, you can set your preferences for the revolution slider element. You can choose to place it either above the header or below it. Furthermore, you can choose its alignment and its color, and also select to enable or not the bottom area.